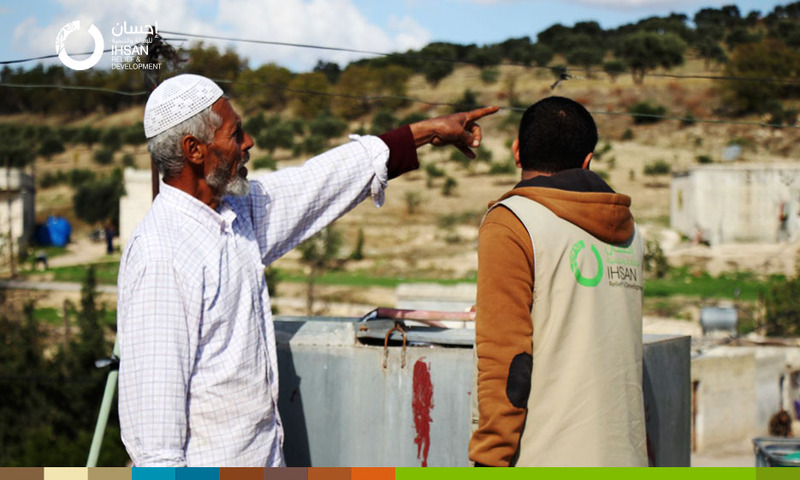 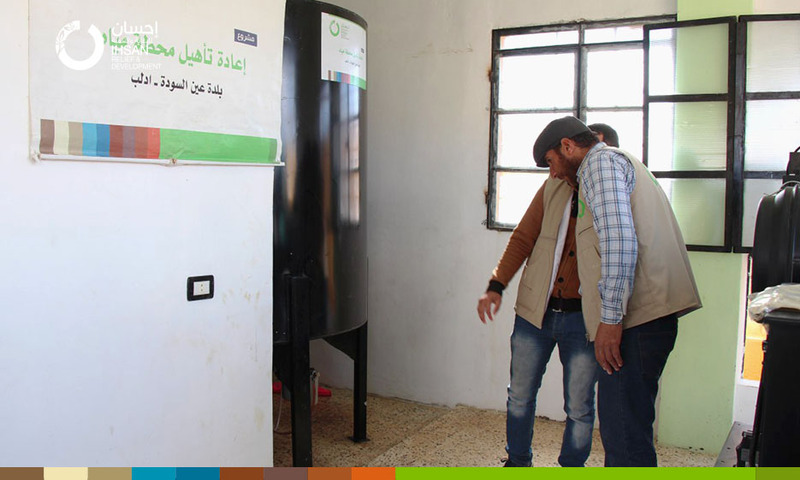 Ihsan for Relief and Development team rehabilitated the Ein El-Souda water station in the western region of Idlib, in addition to rehabilitation of the water network within the town and supporting the operating of the station with fuel and chlorine for five months. 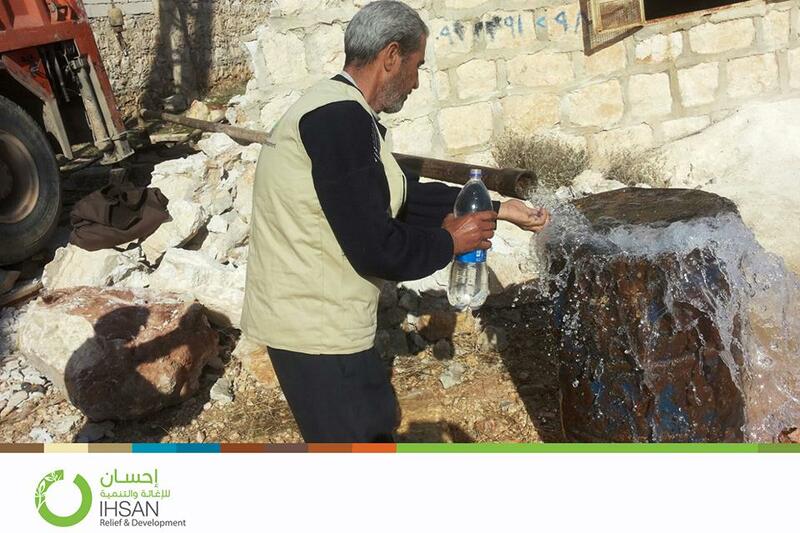 The water station serves the town of Ain al-Souda and the town of Ein al-Bardeh, with a population of about 9000 citizens. 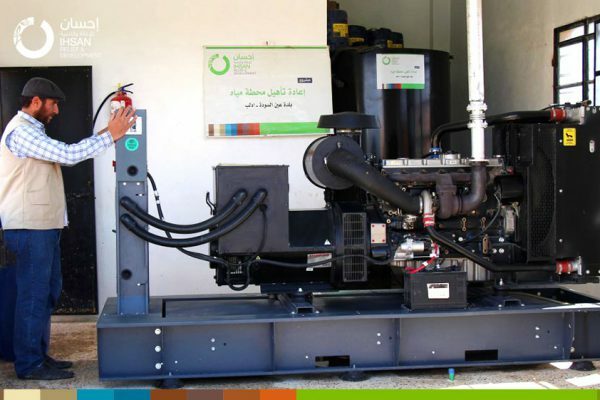 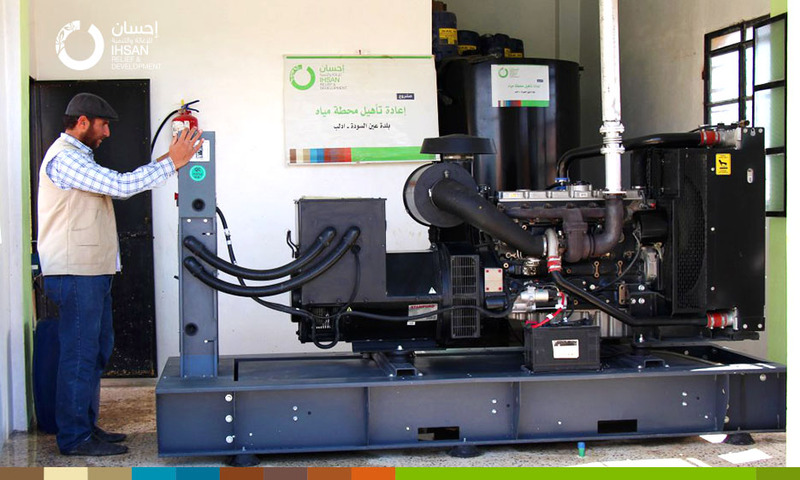 In order to rehabilitate the Ain-Al-Suda water station, the project team carried out a number of activities including: Provision and installation of Generator 200 KVA with fuel tanks, 100KVA power transformer, installation of fuel tanks, supplying sterilization systems with the necessary materials and installation of electrical control panels. 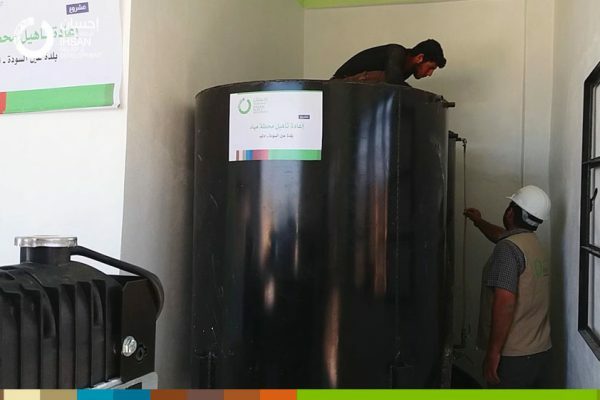 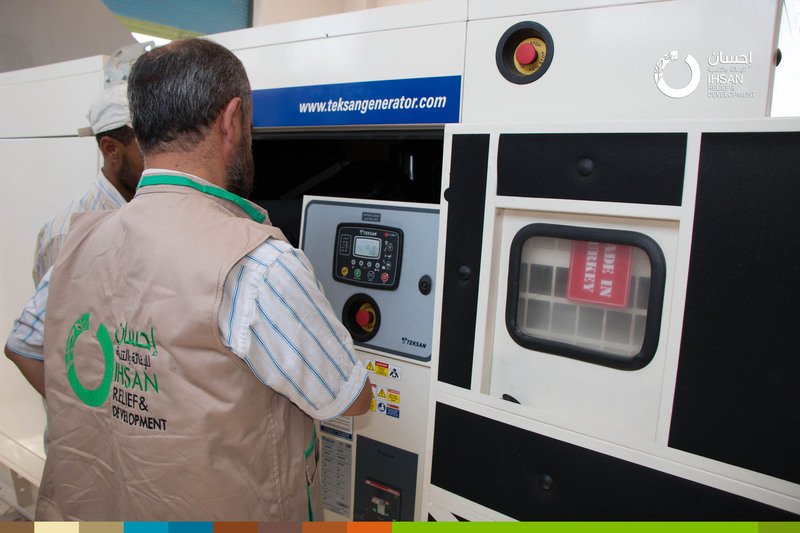 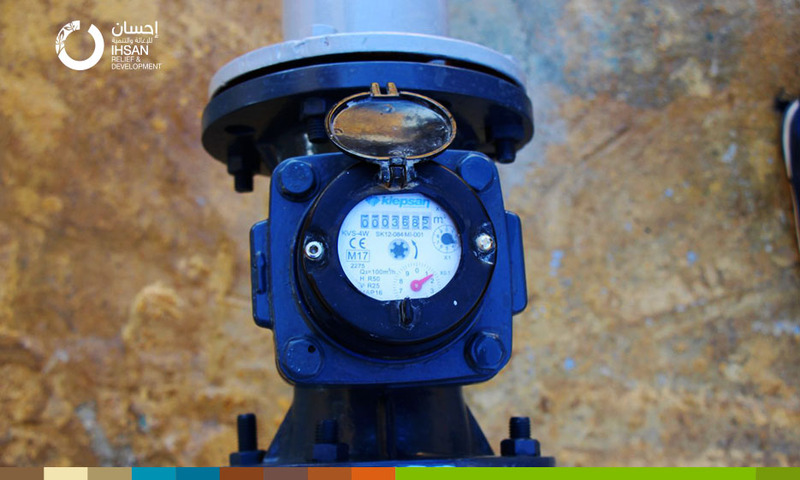 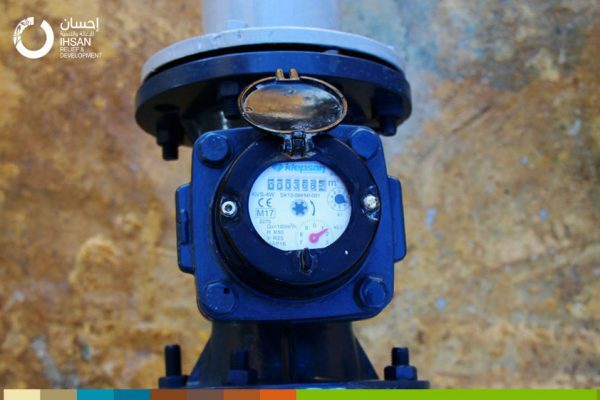 In addition to rehabilitating the water station and the water network, the project includes activating the collection system of water revenues through the installation of household meters and training of the station cadres on the collection and operation system and the necessary periodic maintenance to ensure that the station is still working properly after the end of the support period. 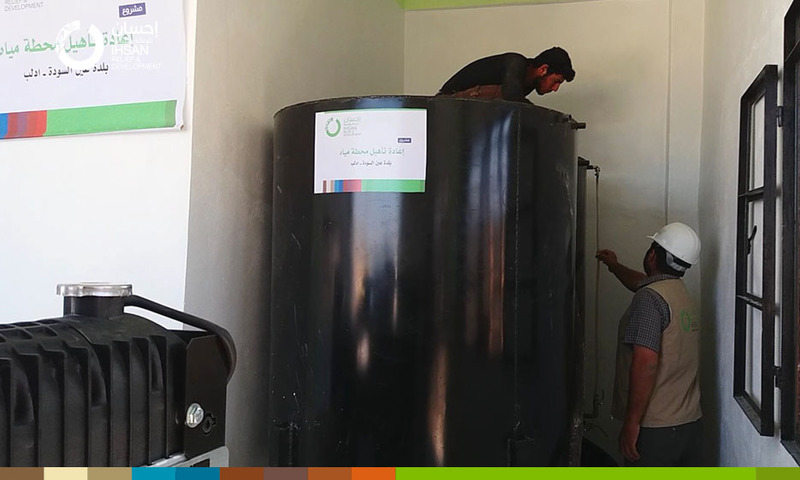 Rehabilitation of Maisarouna Water Station in Ildeb governorate to secure water for more than 8000 persons including IDPs and residents of the area. 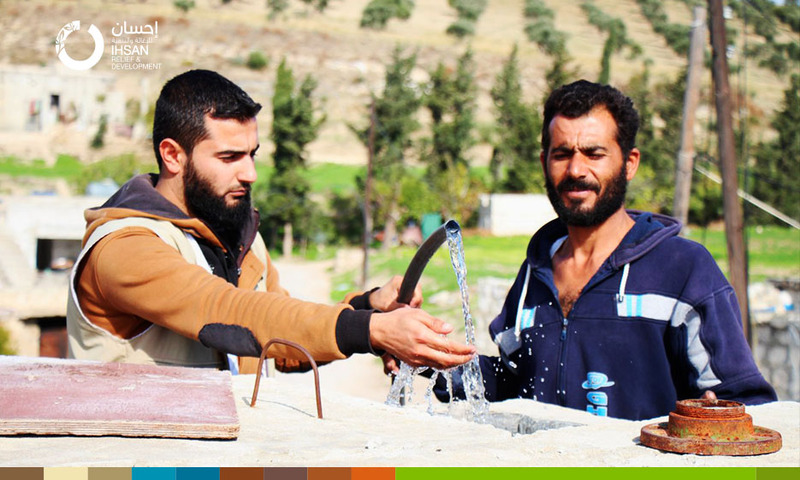 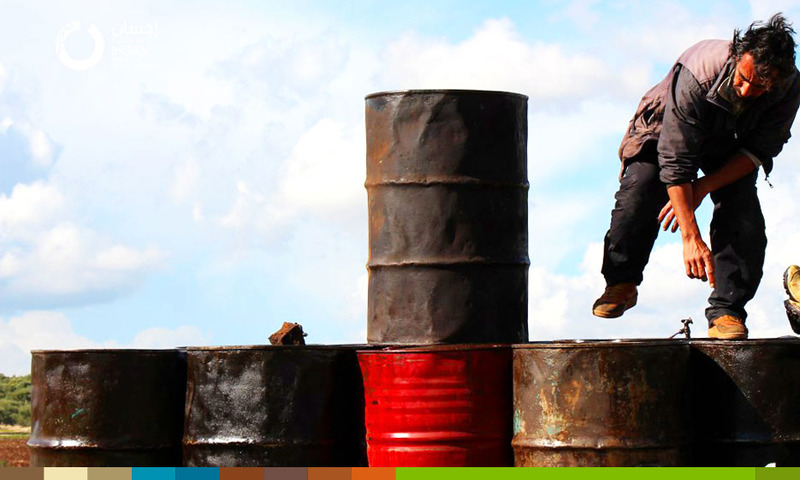 Civilians in ‪#‎Syria‬ are not only suffering from ‪#‎bombing‬, they are also suffering a drinking ‪#‎water‬ crisis and lack of alternatives. 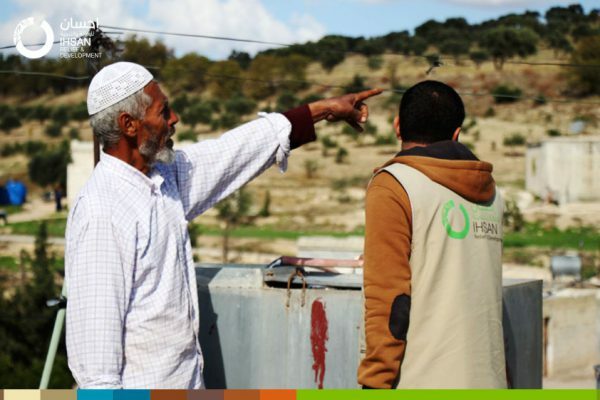 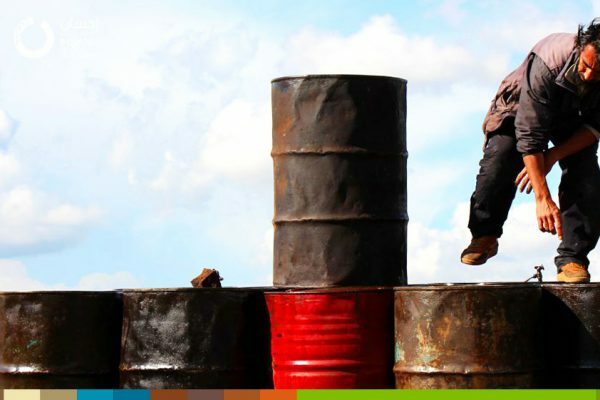 It is an endless humanitarian crisis, the lack of the basic life requirements, such as food, drinking water, healthcare and education, and the growing problem of water scarcity and the difficulty to obtain it, all made civilians seek for alternatives to sustain life. 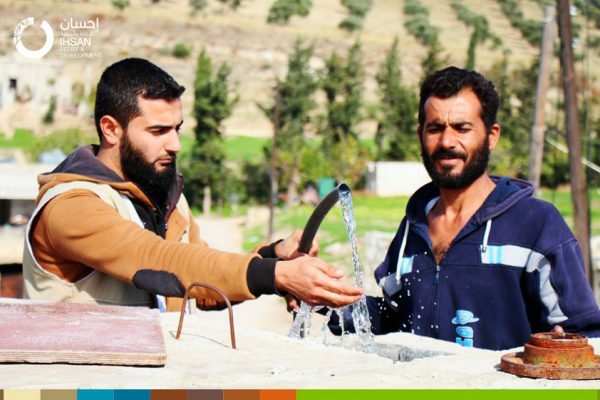 Many areas in ‪#‎Syria‬ are suffering from an acute shortage of ‪#‎water‬, as the result of expanding the besieged areas, an preventing water and electricity. 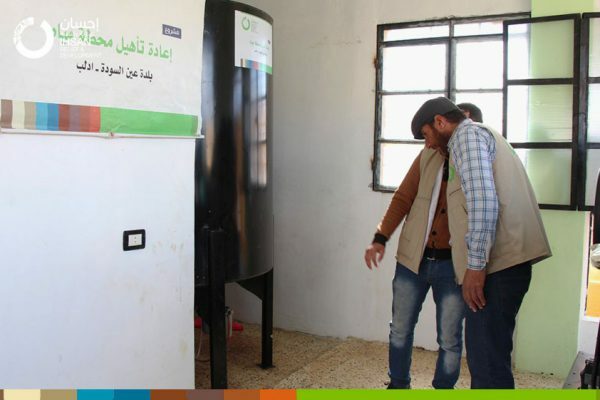 The ‪#‎national‬ organizations have reported that there is about 70% of Syrians, currently are suffering from the shortage of drinkable water. 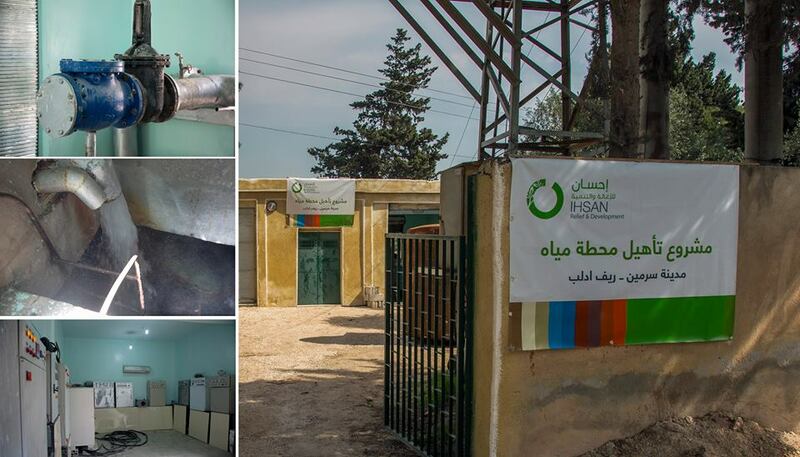 Within the ‪#‎WASH‬ Program, ‪#‎Ihsan‬ Institution for relief and development, has installed three water stations in three areas; Abyad –‪#‎Aleppo‬ Suburb and Sarmeen – ‪#‎Idleb‬ Suburb, in order to reduce our families suffering, and to provide drinkable water for those in need.